Why Did the U.S. Government Patent the Ebola Virus in 2009? 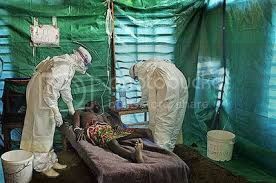 It really makes you wonder why the U.S. Government patented the Ebola virus back in 2009, just about the time I exposed the mass graves prepared for U.S. citizens. Compositions and methods including and related to the Ebola Bundibugyo virus (EboBun) are provided. Compositions are provided that are operable as immunogens to elicit and immune response or protection from EboBun challenge in a subject such as a primate. Inventive methods are directed to detection and treatment of EboBun infection.